Signal flares of various colours (red, green, yellow and white), different calibres and with or without parachute. 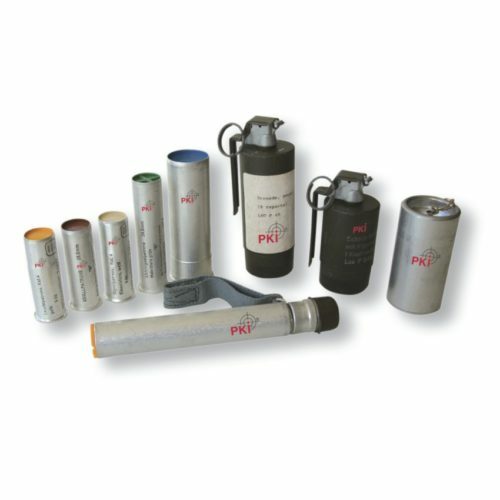 Distress items like hand flare or hand smoke devices in different colours and with various burning times. Whatever you are requiring in the field of pyrotechnics, please let us have your enquiry and we shall send you full technical information on each and every item. Please ask for our special catalogue.